Thank you all so much for attending the webinar Monday introducing you to resources and collections available at the State Archives, the State Library, and various New Jersey County Offices. I hope you found the information provided useful! I’m happy to answer any follow-up questions you may have. You may e-mail me or call at 609-278-2640 x162 (my contact info is also on the Genealogy Research Guide). the State Archives, and County Offices. The slide deck and the other handouts made available during the webinar are also on the Guides and Handouts page of the Genealogy Research Guide, along with additional handouts and items you may find useful. Staff members at the State Archives and the State Library are always available to answer questions and steer you in the right direction as you are researching. Please note that the State Library and State Archives are two separate entities with their own collections, equipment, rules, and copy fees. 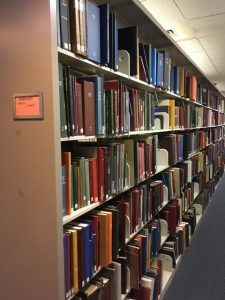 I’m happy to answer any general questions about State Archives collections and availability, but if you have any detailed reference questions about an Archives resource or wish to order copies of collection items, please contact them at 609-292-6260. Thank you again for attending, and I look forward to helping you research your New Jersey ancestors!